Products, Prices and How to Order.. Identical in style to those presented to the winning connections. 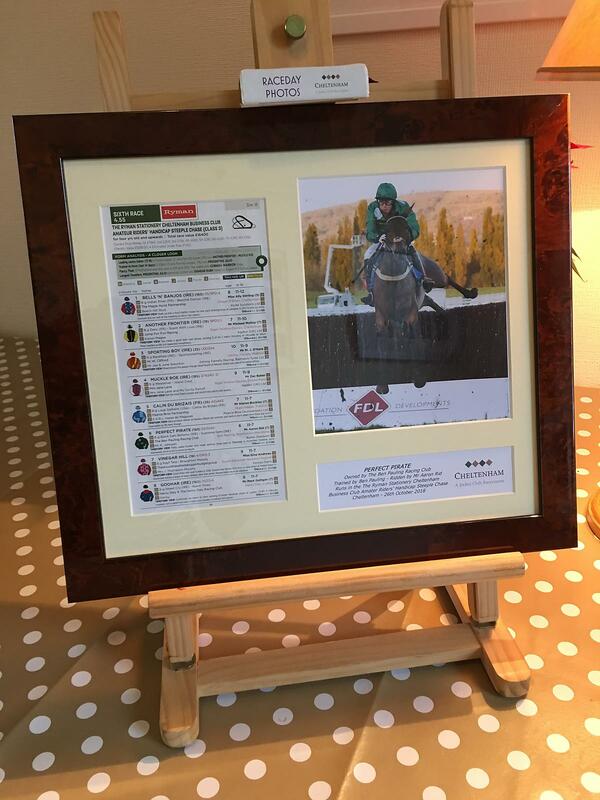 Framed in handmade 16 x 14" 'Cheltenham Mahogany', includes logos and race details. 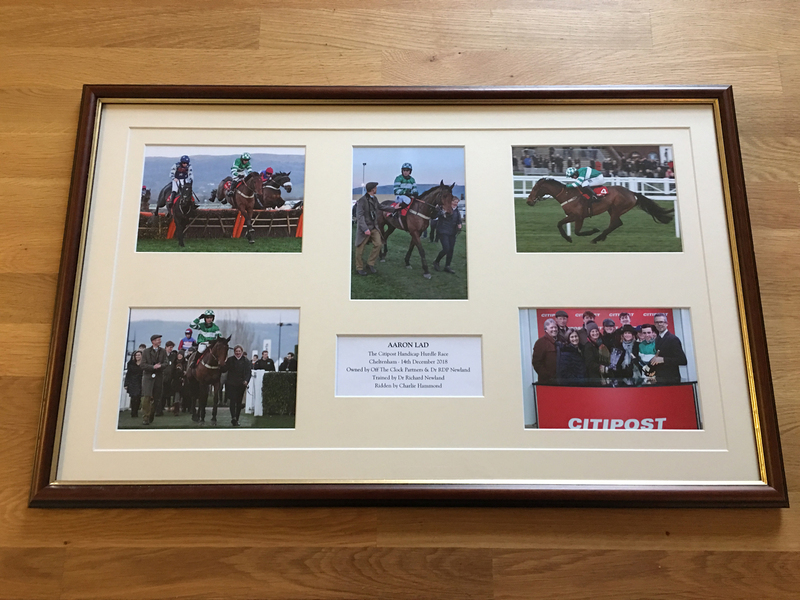 Framed in handmade 16 x 14" 'Cheltenham Mahogany', the portrait style photo sits alongside a page from the racecard - includes logos and race details. 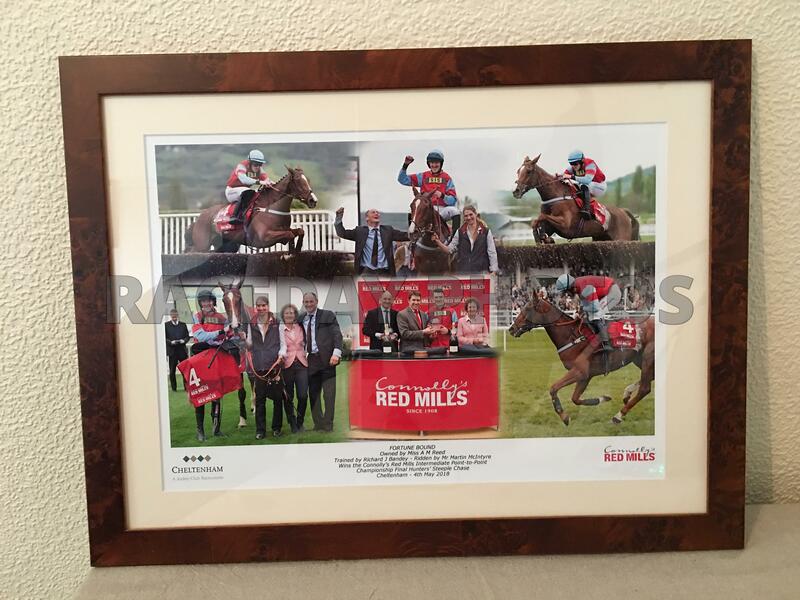 'Cheltenham Mahogany' framed montage - Race photography ‘art worked’ into a montage. Framed in 21 x 16" 'Cheltenham Mahogany' frame, includes logos and race details. Bespoke montages and prints are available on request. Please email info@racedayphotos.co.uk with your requirements and we will do our best to help. Personal high resolution photography may be included on request. Mounted in ivory mounting card, includes logos and race details. Complete with the Cheltenham Racecourse on course commentary, a Race DVD is the perfect memento of that special race. Complete with the Cheltenham Racecourse on course commentary, a Race Recording Memory Card is the perfect memento of that special race. The A4 rechargeable cards open to play the race footage and conveniently, act just like a USB stick, allowing you to transfer the footage to your devices as desired. Terms and conditions apply. Full instructions enclosed with each card. Simply open the gallery and click on the race you would like to view. Enlarge the photo you would like to order and follow the prompts in the top right hand of the screen. Click on 'RACE DVDs' in the menu at the top of the page. Select the season and product. Use the purple buttons at the top of the screen to select the meeting and follow the prompts to select your race.